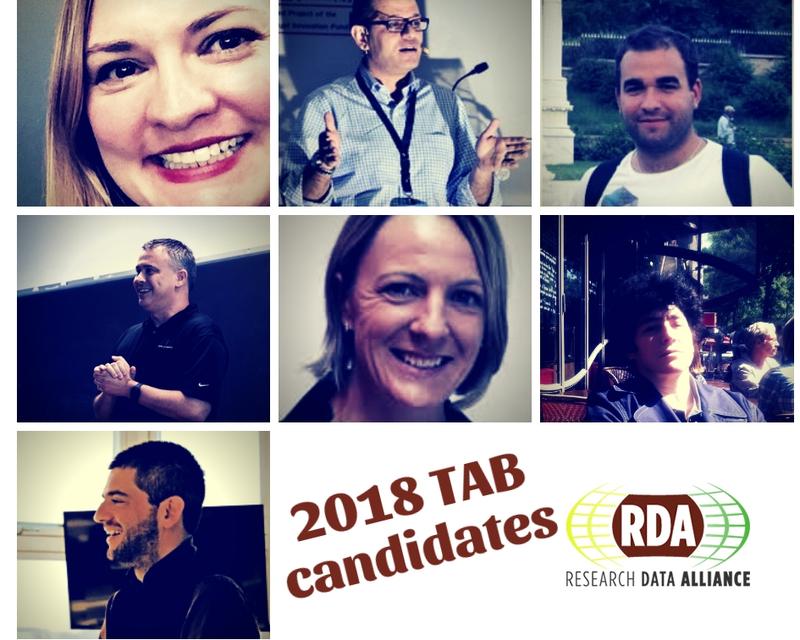 2018 RDA TAB Election: meet the nominated candidates! Home » News & Articles » 2018 RDA TAB Election: meet the nominated candidates! RDA is pleased to announce the candidates nominated for the 2018 Technical Advisory Board election. Five members will be added to TAB in this cycle. Online voting will open at RDA P12/International Data Week (5 Nov 2018) and will remain open for two weeks through 18 Nov 2018. All RDA members are encouraged to review the posted candidate statements and information. An analysis of the balance criteria implications for this election will be posted in advance as well. In the meantime, congratulations to our 2018 TAB candidates!